When it comes to the conservation of wildlife, we find out that wildlife species are being threatened mainly due to habitat destruction as a result of human population growth and the increasing demand for arable land. We also discover that limited livelihood options drive people to poach wildlife species due to their economic value in trade or local markets, where there is a demand for them to be bought. Another fascinating areas discussed is sustainable wildlife management (SWM), but what does this mean? We are told that this concerns the responsible management of socially, ecologically, and/or economically important wildlife species, while also sustaining their populations and habitats over time. Historically, did you know that hunting has influenced human development, culture, religion and social interactions? This analysis reveals that there are few, if any, activities, which provide a more sustained link than hunting across all human civilisations from as far back as the Stone Age right up to the Internet Age. On the subject of sustainable hunting, one of the major contributions of hunting to conservation is that it gives incentives to communities and other landowners for habitat protection and the sustainable use of wildlife. Added to this, hunting clearly creates jobs, predominantly in rural areas, where employment opportunities are scarce, and the unemployment rate is anything but low. It is interesting to read that hunting tourism is the most profitable form of hunting, for example, in South Africa, it generates between $65.6 – 137 million each year, while in Tanzania this figure is between $27.6 and 36.1 million. Another compelling fact discussed is that the revenue generated from hunting can provide a stable financial basis for habitat conservation, even over large areas of land. 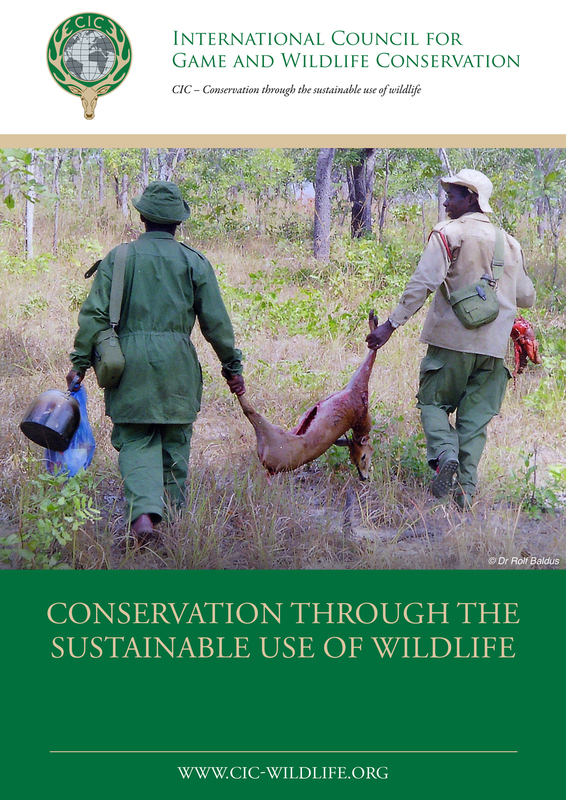 These and further thought-provoking questions are addressed in this absorbing piece of literature from The International Council for Game and Wildlife Conservation.